Explore our recommendations for the best Pennsylvania replacement windows from top manufacturers and local companies. Pennsylvania has a ton of manufacturers, especially in the vinyl market, which account for more than half of the replacement window market. Get 3 or 4 free bids and see where you are in terms of price and quality before making any decisions. Letting the contractors or companies know that you have a few bids out will work well to getting them down in overall replacement window cost (just make sure they aren’t skimping on the installation). OKNA Windows will run in the $400 to $850 fully installed range and are considered a top five option in the vinyl window market. Even their Precision Weld 400 series is considered a decent window that still maintains high-quality craftsmanship. The Insul-Tec 500 series is the most popular of their replacement lines with a traditional look to the window and excellent value. The Enviro-Star 800 series is their high-end replacement that provides an old world look and maximum energy efficiency. 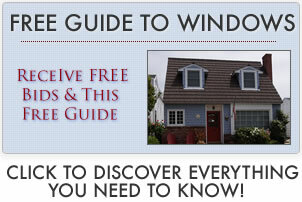 It is considered one of the best vinyl windows available today, although it is certainly not inexpensive. Polaris prices will run $400 to around $700 fulled installed depending on the model, upgrades you select and installation required. Polaris is generally considered a very good vinyl window manufacturer and their UltraWeld gets high marks from contractors who have worked with their windows in the past. Consumers can expect solid performance numbers at fair prices. The company is based out of Ohio so check out our best Ohio replacement windows page for available options in this state. Simonton prices will run $300 to $750 fully installed, depending on the model, upgrades you select and installation required. Simonton is a nice mid range vinyl window option, a step above many of the low end manufacturers. Their top end lines are quite good and often well priced for the quality. They are available in nearly every state and Pennsylvania is no exception. They manufacture a number of different styles and provide quick turnaround and great customer service. Their 5500 series and 9800 Impressions tend to get good reviews for the price point. Seaway prices are at the mid to higher end for most vinyl windows and generally get good marks from installers and industry experts. They are headquartered in Erie, Pennsylvania and have a long track record in the state. They tend to be a regional window manufacturer and offer 2 models, the Ovation and Encore (although they do manufacture a storm window called the Sentry). The Encore window is their standard model that comes in a double hung and is probably equal in quality and price to the Harvey Classic windows. The Ovation is an upgraded model that includes some excellent features and is probably on par in quality and price to standard framed Sunrise windows.